Leafy plants, with fleshy fibrous or somewhat tuberous roots, and a short spike of small flowers. 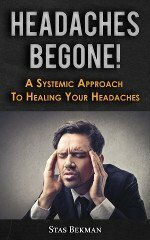 Sepals free and spreading. Lip entire or 3-toothed at the apex, much exceeded by the long filiform or clavate spur. Beak of the stigma with 2 or 3 oblong or clavate appendages. Anther-sacs parallel and approximate, their glands naked and contiguous. Pollinia granular, with short caudicles. 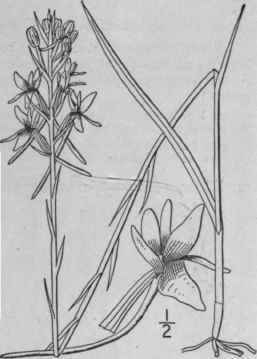 A North American genus, formerly included in Habenaria. It is closely related to the European genus Gymnadenia, from which it differs in the appendages of the stigma; hence the name. Type species: Gymnadeniopsis nivea (Nutt.) Rydb. Lip entire; stigma with 2 appendages; stem several-leaved. Ovary not twisted; spur longer than the ovary; flowers white. Ovary twisted; spur shorter than the ovary; flowers orange. 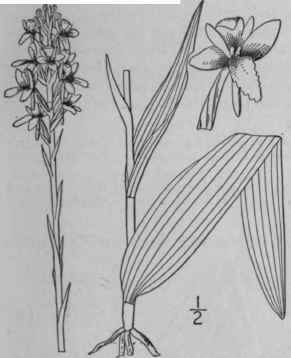 Lip 3-toothed; stigma with 3 appendages; leaves 1 or 2. Orchis nivea Nutt. Gen. 2: 188. 1818. Habenaria nivea Spreng. Syst. 3: 689. 1826. G, nivea Rydb. in Britton, Man. 293. 1901. Stem slender, angled, 12'-15' high. Leaves linear-lanceolate, acuminate, 4'-8' long, the upper much shorter and passing into the bracts of the spike; spike 2'-4' long, loosely many-flowered; flowers small, white; lateral sepals broadly oblong, dilated or slightly eared at the base, spreading, about 3" long; petals and upper sepal smaller; spur capillar)-, as long as the ovary or longer; stigma appendaged by 2 small horns affixed to the back of the anther; ovary straight. In pine barren bogs, New Jersey to Florida and Alabama. Aug.
Orchis Integra Nutt. Gen. 2: 188. 1818. 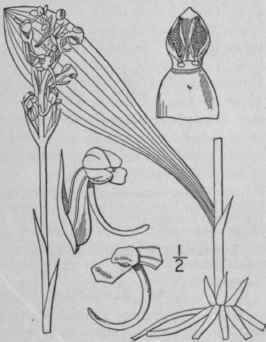 Habenaria integra Spreng. Syst. 3: 689. 1826. G. integra Rydb. in Britton, Man. 293. 1901. Stem 1°-2° high, angled, with 1-3 linear-lanceolate leaves below, and numerous bract-like ones above. Lower leaves 2'-8' long, acute; spike l'-3' long, densely flowered; flowers orange-yellow; upper sepals and petals connivent; lateral sepals longer, oval or obovate, spreading; lip oblong, mostly crenulate or erose, sometimes entire; spur straight, longer than the lip, shorter than the ovary; stigma with 2 lateral fleshy appendages and a narrow beak. In wet pine barrens, New Jersey to Florida and Louisiana. The upper surface of the leaves is often reticulated with hexagonal cells. July. Orchis clavellata Michx. Fl. Bor. Am. 2: 155. 1803. Orchis tridentata Willd. Sp. PI. 4: 41. 1805. Habenaria tridentata Hook. Exot. Fl. 2: pl. 81. 1825. Habenaria clavellata Spreng. Syst. 3: 689. 1826. G. clavellata Rydb. in Britton, Man. 293. 1901. Stem 8'-18' high, angled, 1-leaved near the base, often with several small bract-like leaves above, or one of these larger. Basal leaf oblanceolate, 2'-6' long; bracts shorter than the ovaries; spikes 1/2'-2' long, loosely flowered; flowers small, greenish or whitish; sepals and petals ovate, lip dilated and 3-toothed at the apex, the teeth often small and inconspicuous; spur longer than the ovary, incurved, clavate; stigma with 3 club-shaped appendages; anther-sacs nearly parallel; capsule ovoid, 3"_4" long, nearly erect. In wet or moist woods, Newfoundland to Minnesota, south to Florida and Louisiana. Three-toothed or rein-orchis. July-Aug.
Gymnadenia conopsea (L.) R. Br., otherwise known only from the Old World, has been collected at Litchfield, Connecticut. The flower has a broad 3-lobed lip and a slender spur much longer than the ovary.